We’re pleased to announce that we’ve been selected to be one of thirty one blogs taking part in a super duper giveaway courtesy of HP. 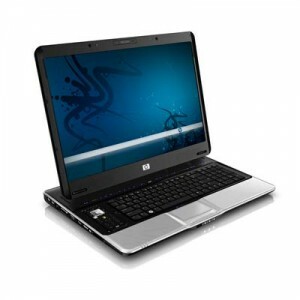 Dubbed “The 31 Days of the Dragon“, beginning this week 31 blogs that cover gadgets and the digital lifestyle will start giving away a HP HDX Dragon 20inch notebook each, loaded with “stuff”, every day for 31 days. The HP HDX dragon is a seriously high-end entertainment machine, and not for the feint hearted, sporting a 20.1″ display, Intel Core 2 Extreme x9000, 4GB of Ram, Blu-Ray drive and lots more including a good few games and Blu-Ray movies to get you started (total retail price approx $5,000). Please note: the competition is now closed. The winner has been announced. Each participating blog will be running its own contest (with total freedom to set to the rules) that will be open for seven days with the first contest kicking off this Friday (May 2nd). One of the main points of the giveaway for each of the participating blogs is to share a little link love and introduce our respective readers to some great sites. On the list are a few of my own favorites including jkOnTheRun (“… using mobile devices since they weighed 30lbs”). Check out the full list below, and be sure to visit each site on their designated giveaway day! Note: each blog will run their own competition, so there will be different rules for each site. You should visit each site and look for more information there. If there is no competition information live yet, then please visit the sites again later between those dates listed above. It is recommended you subscribe to their RSS feeds to make sure you don’t miss any information about their contests. This competition comes to you thanks to HP and BuzzCorps. 31 Days of the Dragon OPML is available with a list of all RSS feeds available. 31 Days of the Dragon network RSS feed is available with an aggregate of participating sites. Feint-hearted? Your pun’s intentional, right? Waiting for the contest to start. Still a couple of hours left for the contest to start. how do I join this competition ? Has the contest started??? where do i find the rules??? it isnt there here?? Great prizes. Count me in. a plasma TV, an ipod, a digital camera, an iron man phone, and flash drives. Great prize! Count me in! Apple iPod Video, PSP, HP Media Center Server, Sandisk Cruzer 4Gb Flash Drive and IBM RAD 7 Development Environment. Who is the winner of HP HDX dragon? Thats really a great contest and a great machine.